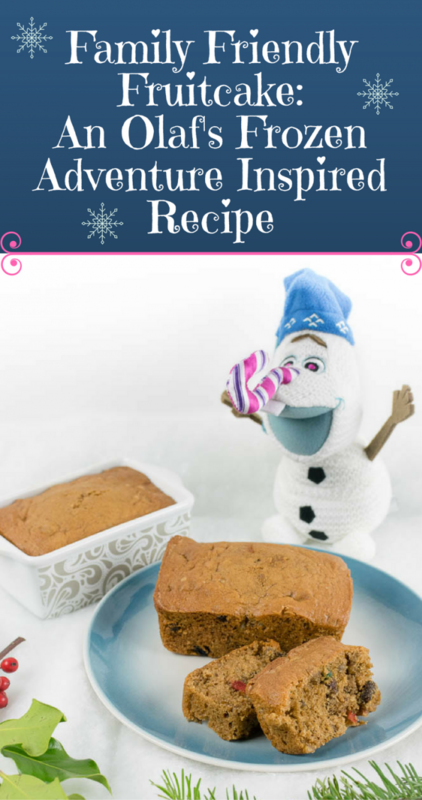 We received a digital copy of Olaf’s Frozen Adventure to help with creating our Family Friendly Fruitcake. With the debut of Pixar’s Coco, Walt Disney Animation released their latest featurette, Olaf’s Frozen Adventure. Upon seeing yet another Frozen release, we were ready to grit our teeth and just get through it to get to Coco. However, we quickly realized that this featurette would be worth the viewing. In fact, you could say, it warmed our “frozen” hearts. The message of Olaf’s Frozen Adventure was so sweet that we decided to create our own sweets. 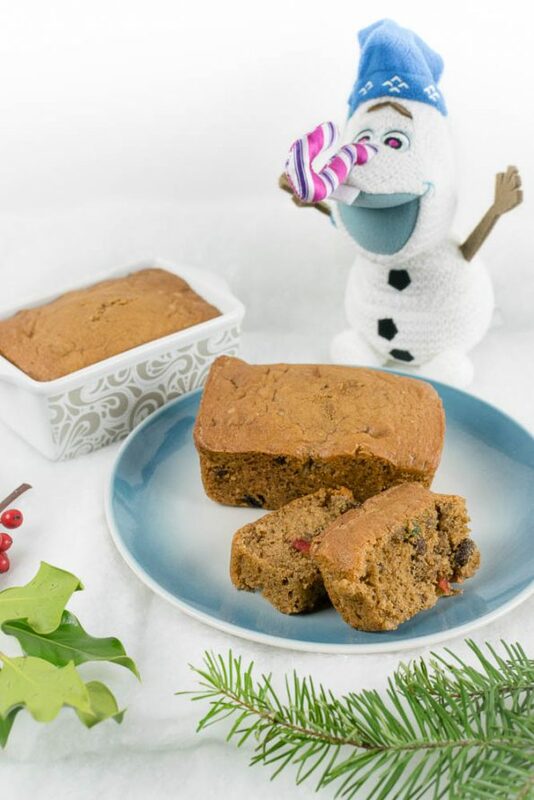 We are excited to share our newest recipe, Family Friendly Fruitcake! When we decided to create a fruitcake recipe we thought about the various ways to make it family friendly. First we eliminated the alcohol typically used to enhance the flavor. Next, we reduced the amount of fruit and nuts. Finally, we used a boxed cake mix to reduce the time and effort needed to create a delicious dessert. Now, while this may not be an according Hoyle fruitcake, it is easy and tasty! It is sure to please your friends and family, even the ones who claim to hate fruitcake. 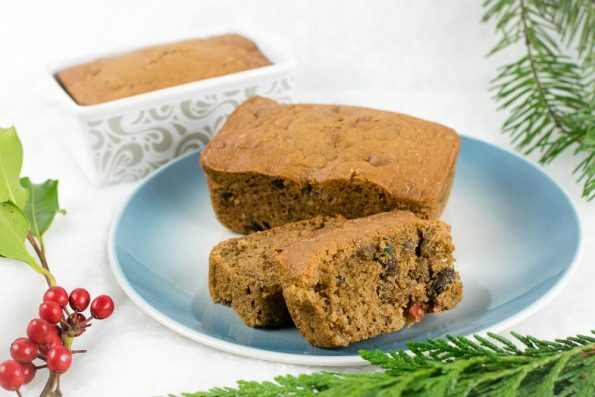 We hope you try out our Family Friendly Fruitcake and that it will become a tradition in your home! That’s not all though! We thought it would be fun to do something a little different for the holidays! We are giving away 4 digital codes for Olaf’s Frozen Adventure! However, instead of running the giveaway on the blog, we will be giving away 2 codes on Instagram and 2 on Facebook. All you have to do is share your favorite holiday tradition on each post! The winner will be picked on December 23rd. Good luck! Combine cake mix, eggs, water, and oil. Blend with a mixer until combined. Add fruit cake mix, walnuts, and raisins. The Geeks were provided with a digital copy of Olaf’s Frozen Adventure for research purposes. All opinions are wholly our own. View our Disclosure Policy for more info. I just saw this and it made me giggle. I’ve never actually tried real fruitcake but I love the bad wrap that it gets. Olaf’s version does sound decently tasty though!